We were married in 1986 and lived a pretty typical American existence starting out with nothing and gradually increasing our paychecks and assets. We traveled cheap when we had vacation time, and didn't venture out of the U.S. until we were in our late 20s in the early 1990s when we took a 4-day Carnival cruise to the Bahamas. I'm not sure we even needed a passport on that trip back then, and we thought we were big time being able to afford a cruise. That was the last time we left the U.S. on vacation until the late 1990s at which time Linda had a direct sales business. For six years she earned incentive trips to Hawaii (twice), Bermuda, Cancun, Aruba, and the Bahamas. I think our trip to Bermuda was when we got our first passports. 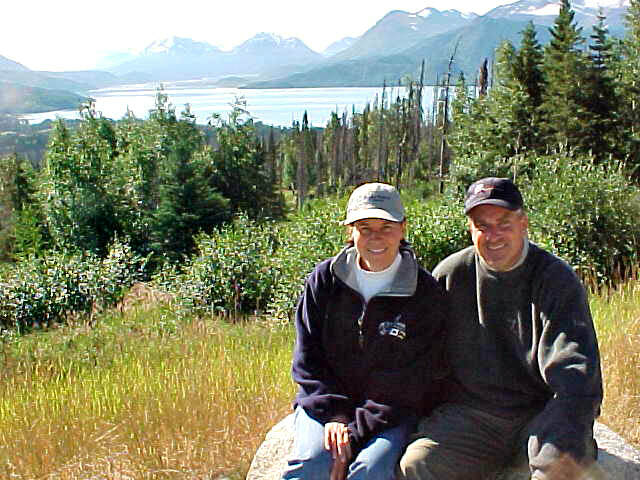 Even then, we were interested in nature's beauty, wildlife, and I guess what people now call "soft adventures" - day hikes, kayaking, snorkeling, etc. We got certified for SCUBA, we did a tandem sky-dive in Hawaii, I did a shark cage in Hawaii, we've been up in hot air balloons a couple of times, and we've done our share of zip-lining. I also played a lot of golf and Linda enjoyed being pampered at the spa, so those interests were part of our travels as well. ​Things picked up for us financially in the early 2000s, and we started increasing the amount we spent on vacation, but we still only had a week at a time or long weekends. ​ In 2004, that all changed. That's when we took our 12-day trip to Alaska on a land-based adventure vacation out into the wilds with Alaska Wildland Adventures. It was the most we had ever spent on a vacation up to that point and it changed our lives. Disconnected from phones, computers, television, and newspapers, we realized we were most connected and our happiest when we were together in nature. And we wanted that feeling more often. We quit our jobs, sold our house, and decided we were going to be happy and travel and explore the U.S. without being tied to schedules and the duties of corporate employment. In August of 2005, we hit the road with our truck and fifth wheel trailer and everything we owned (what little of it we hadn't sold, given away, or disposed of). From that point on, we've been traveling all over the United States taking pictures and documenting our adventures on our RV-Dreams Journal (aka blog). And in the last few years, we've saved up enough money from our simpler life to start doing some more extended travels abroad. We went to South Africa for almost a month, Costa Rica for about six weeks, and we did two weeks in the Galapagos Islands - all with a focus on natural beauty and wildlife. We've also taken a Mexican Riviera cruise and a cruise to the southern Caribbean in between, and while cruises don't always allow for nature-based activities, we try to focus shore excursions along those lines if we can. Now, we continue to live and travel in our RV as there is still so much more natural beauty in the U.S. to see, but we try to plan at least one major nature-focused international trip per year where we can spend weeks rather than days exploring. Next up is Iceland for a month in 2018, and we can't wait to share that experience with you! As we mentioned above, we documented all of our USA travels from 2005 - 2017 on a different blog. 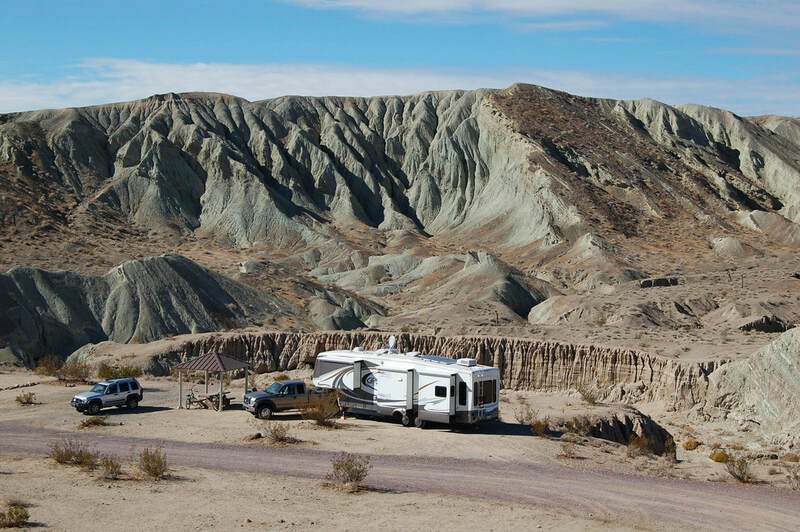 However, we have now stripped out the most relevant of those "nature travels", edited out most of the RV-specific stuff, and posted the best entries and articles here on this website in our USA Journal. It was too much trouble to try and re-create them under this website's blog format, so those posts don't have some of the functionality of the posts created directly on this website from 2018 forward. However, we have created separate, new journals/blogs for each of our international trips (Galapagos is complete, and South Africa is complete; Costa Rica will be ready soon), so they will look different (hopefully better) and have a little more functionality. The USA posts from 2018 forward will also have the new formatting. We just wanted you to know why you might run into differences in how certain posts look and function. The bottom line is we just love sharing our nature travels and we've worked really hard to try to make it easy to navigate to what interests you. So, in an effort to include more content and make it searchable, we may have sacrificed some functionality (such as the ability to view larger versions of photographs) on pre-2018 USA travel posts.